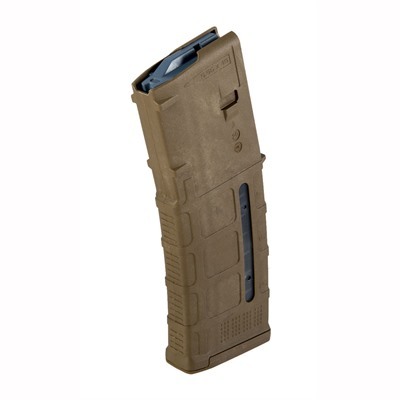 We found a great deal on the Magpul Ar-15 30rd Pmag Gen M3 Magazine 223/5.56 for only $12.99 at Brownells. The polymer magazine that revolutionized magazine technology for the AR-15/M16/M4 platform just got even better. The third-generation PMAG further expands the strength, reliability, and versatility of the original PMAG. Along with all variants of the AR-15/M16/M4, the GEN M3 is fully compatible with the HK 416 and MR556A1, M27 IAR, British SA-80, and even the FN SCAR MK 16/16S. It’s molded from a polymer formula that delivers distinctly greater resistance to crushing and all forms of impact, with extra reinforcement in the mag catch and feed lip areas. A new-design four-way anti-tilt follower ensures even smoother feeding, even when contaminated by dust or grit. Pop Mfg: Magpul SPECS: Impact/crush-resistant molded hard polymer, Black or Sand. Compatible with AR-15/M4/M16, HK 416, MR556A1, M27 IAR, British SA-80, FN SCAR MK 16/16S, and other similar lowers. 5.56mm/.223 ammunition only. 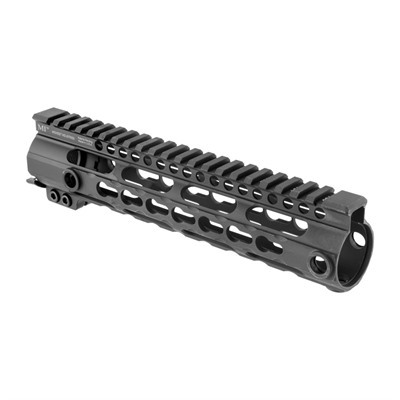 We found a great deal on the Aero Precision Ar-15/M16 Enhanced Handguards for only $175 at Brownells. 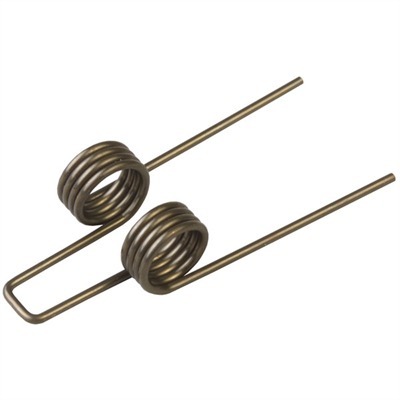 We found a great deal on the Wolff Ar-15/M16 Extra-Power Hammer Spring for only $4.99 at Brownells. Durable, steel springs provide extra hammer power to ensure proper ignition with each trigger pull. Replaces factory spring. Mfg: Wolff SPECS: Steel. Approximately 23/32″ (18.2mm) wide, 2″ (5.1cm) long. We found a great deal on the Battle Comp Enterprises, Llc. Ar-15 Battlecomp 1.0 22 Caliber for only $139.99 at Brownells. 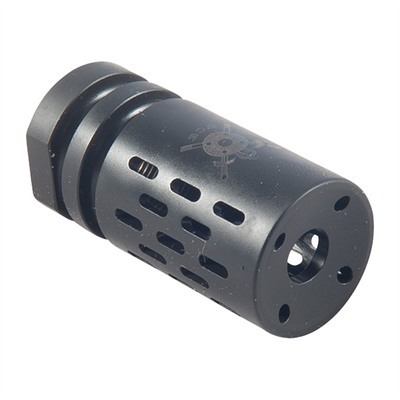 Multi-purpose compensator reduces muzzle climb, so you stay on target between shots during rapid fire engagements. Produces less concussion than most muzzle brakes for a smaller dust signature when shooting prone. California Legal Compensator is legal in all 50 states. BC1.0fit .223/5.56 rifles with 1/2 x 28 tpi muzzle threads. Mfg: Battle Comp Enterprises, Llc. SPECS: Machined 17-4 PH stainless steel with MIL-DTL 13924D Class IV black oxide finish, 1.0 available with a matte stainless finish.. All models include required crush washer and/or shims. 1.0 fit .223/5.56 barrels with 1/2″-28 tpi muzzle threads. 1.01 3/4″ (4.5cm) OAL. 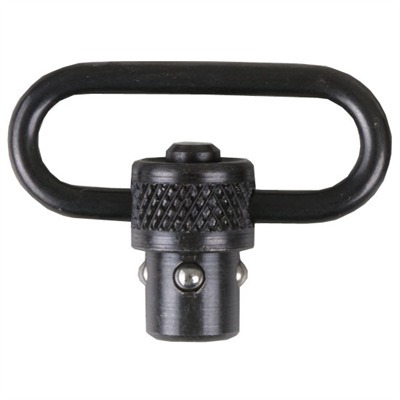 We found a great deal on the Midwest Industries, Inc. Ar-15/Car-15 Quick Detach Swivel for only $10.99 at Brownells. Machined steel swivels with 1 1/4″ loops feature a smooth-operating, centrally-located push-button and polished ball bearing surfaces for easy attachment on firearms equipped with quick-detach bases. Provides quiet, 360deg rotation of the swivel to eliminate sling tangle and improve all day carry comfort. Standard model features a standard weight loop formed from 1/8″ diameter round stock. Base is knurled for a positive grip, even when wearing heavy gloves. Available with polished blue finish. Heavy Duty swivel is constructed with an extra beefy base and push-button, plus a 3/16″ diameter loop to handle maximum weight and abuse. Mfg: Midwest Industries, Inc. SPECS: Steel. Accept slings up to 1 1/4″ wide. Standard – Polished blue. Heavy Duty – Matte Blue. Sold singly. 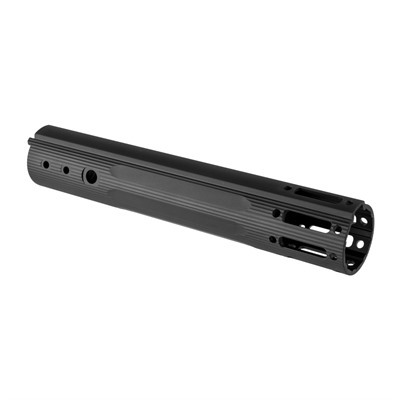 We found a great deal on the Sinclair International Sinclair Ar-15 Rod Guide And Link Kit for only $14.99 at Brownells. 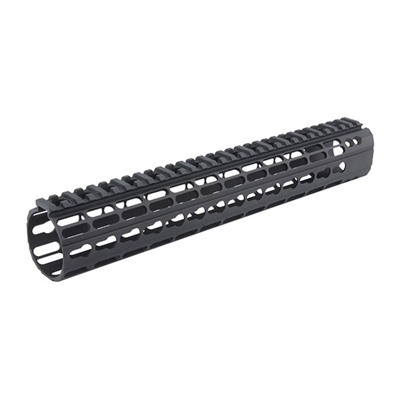 We found a great deal on the Midwest Industries, Inc. Ar-15 Gen 3 Ss Keymod Free Float Handguards Black for only $169.95 at Brownells. Professional grade, one piece free float design construction Simple installation Lightweight, rugged construction from 6061 aluminum with hard coat anodize for a lifetime of service Slim 1.5 inch outside diameter Three sides of Keymod slots and includes one 2.1 inch rail section Proprietary barrel nut and barrel nut wrench MI Patent Pending torque plate system Five anti-rotation QD sling swivel sockets High quality MIL-STD 1913 top rail Fully dehorned for a non-abrasive, comfortable feel Mfg: Midwest Industries, Inc.
We found a great deal on the Alg Defense Ar-15 Emr-V0 Ergonomic Modular Rail for only $84 at Brownells. 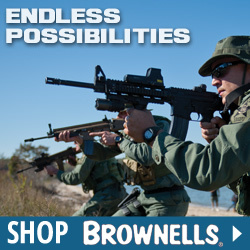 We found a great deal on the Anderson Manufacturing Ar-15/M16 5.56 16″ M4 Barrel for only $89.99 at Brownells. The Anderson Manufacturing M4 16″ 5.56x45mm barrel features the classic M4 profile, for weight savings & parts commonality. 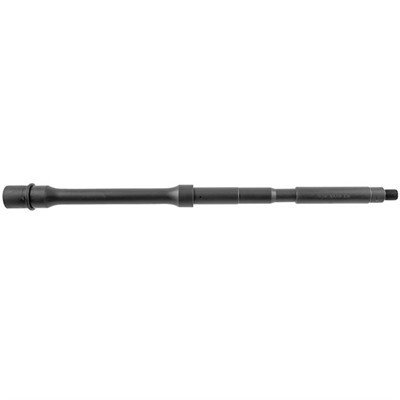 The barrel has a 1-8 twist, for excellent performance with a variety of ammunition. Muzzle is threaded 1/2-28 for compatibility with a wide range of muzzle devices. Finish is matte black parkerized, for superior corrosion resistance. 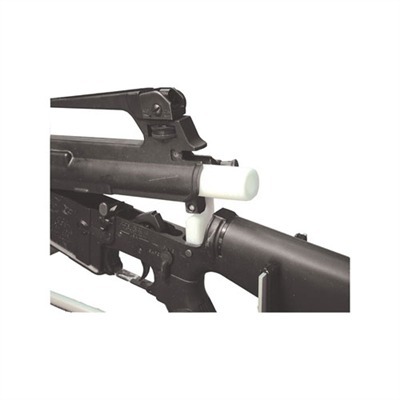 Barrel features a carbine length gas system and is .750″ at the gas block. Barrel is chambered for 5.56x45mm NATO and has M4 feed ramps. The bore and chamber are non-chrome lined. Mfg: Anderson Manufacturing SPECS: Fits – AR-15 or M16 rifles. Chamber – 5.56x45mm NATO. Length – 16″. Finish – Black Parkerized. Gas System Length – Carbine. Muzzle Threads – 1/2-28. Weight – 1.82 lbs. 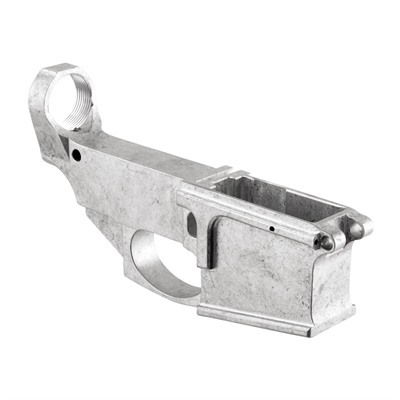 We found a great deal on the Noreen Firearms, Llc Ar-15 80% Lower Receiver Billet for only $54.99 at Brownells.